WARNING: This product can expose you to chemicals including Lead, which is known to the State of California to cause cancer, and Lead, which is known to cause birth defects or other reproductive harm. For more information go to www.P65Warnings.ca.gov. Earn up to 2,000 reward points. A redesign with better sound and protection. 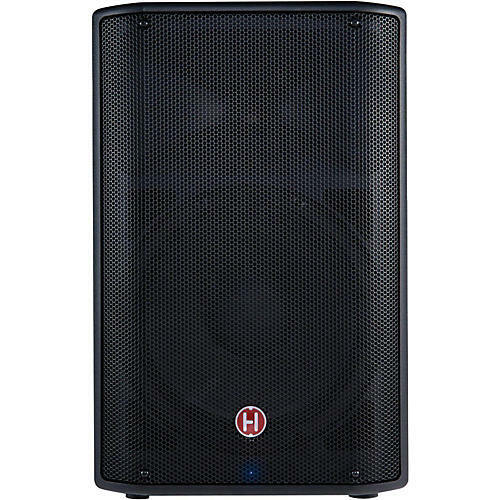 With 600 watts of clean, articulate Class-D amplification, the Harbinger VâRi V2212 multipurpose 12” loudspeaker brings power and superior sound to your party or event. The new cabinet design offers a more modern, angular look as well as improvements in the speaker’s electrical/acoustic design. A newly added optical-limiter offers quicker response to potentially damaging transient peaks and preserves better audio detail to the input signal. The defeatable LED to the front of the grille to make it easier to quickly recognize any clipping issues. Plus, this 2-way system features a built-in 3-channel mixer, 2-band EQ and pole mount. And with its XLR balanced line out, you can hook up multiple speakers, perfect for vocals, presenters and anyone who needs venue-filling power and detail. Lightweight and powerful. Order soon.